This week’s Diva Challenge was to use your non-dominant hand to create your tile. So, my very uncooperative left hand drew my string and then I began to tangle. I had been told to just “go slow” and it will help. Well, some lines got a little squiggly and out of control, but the end result isn’t too bad. In fact, I may even try it again! Check all the other submissions at the Diva’s website. Good tile with non dominant hand. You did well with this challenge and the tangles you used are certainly not the easiest. Great job and the tangle choices made it even harder! I really like this tile! I can’t do Zinger at all and yours is super fun! I love what you decided to do with Meer and the striping on the sides. Like your tangle selections for this one. Nice tile. Hey girlfriend! Your wonky lines just add all the more to your nature tile! I think it’s great! 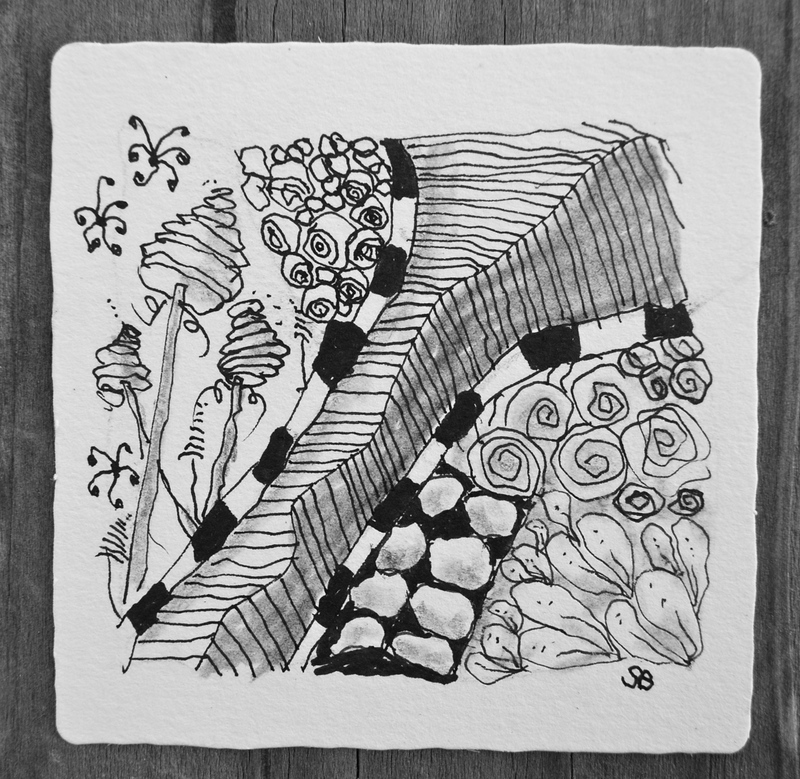 Wonderful Challenge Tile, Susan. Lots of visual interest, and great design. Love it.